Political media coverage continues to pour forth from US and UK press regarding the extraordinary engagement of the ET issue by presidential candidate Hillary Clinton. Two days before the CNN/NY1 hosted Democratic debate in New York, there is growing anticipation a moderator will ask Secretary Clinton about related comments she, her husband and her campaign chairman John Podesta have made during the campaign. These comments and the engagement of the ET issue by the Bill Clinton administration - Rockefeller Initiative (1993-1996) - are receiving worldwide attention. Coverage has been particularly extensive in the United Kingdom since January of this year. PRG executive director, Stephen Bassett, will go to London in early May to speak with reporters and editors about these developments. 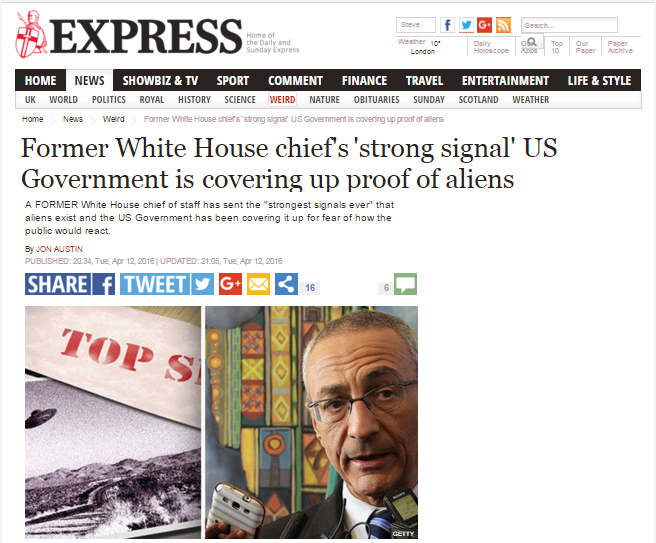 As John Podesta has stated on numerous occasions, the people have a right to know and can handle the truth. 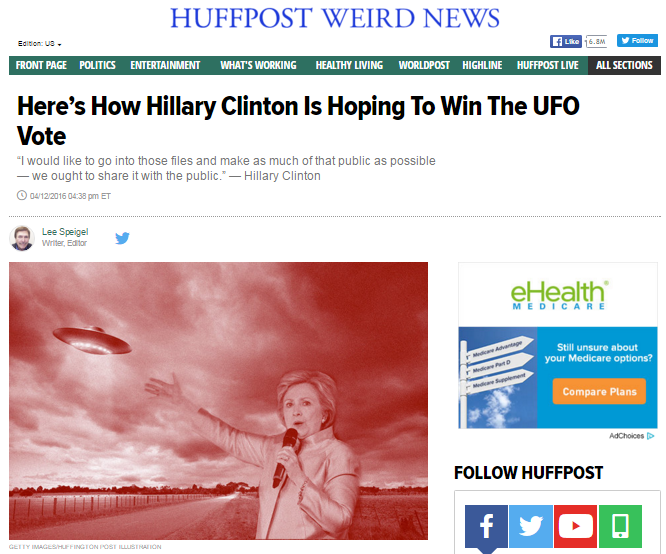 Should Secretary Clinton make history by bringing the ET issue into full focus during the presidential campaign, all people in all nations will be on the receiving end of this truth.